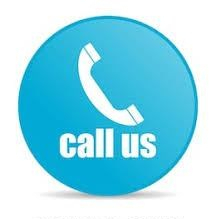 At Gonzalez & Rodriguez, P.L., we have the skill and experience to represent you in any type of child support matter. Whether you are seeking to reduce your child support payments or believe the other parent should be paying more, we will provide you with personalized and high-quality legal representation. Since 2003, from our office in Coral Gables, Florida, our team of knowledgeable lawyers has represented individuals and businesses in Miami and throughout South Florida in child support disputes. We serve a diverse clientele, including clients from Venezuela, Brazil, Cuba, Colombia and other countries in Latin America and the Caribbean. To discuss your case with us, call 305-461-4880 or Contact us online. When parents are not living together due to separation or an existing divorce decree, the party exercising the lesser amount of timesharing is often required to make child support payments until the child turns 18 years of age or is emancipated, whichever comes first, unless otherwise stated in the divorce decree. Often times, conditions change, such as the paying parent losing their job or the parent receiving child support obtaining a promotion. These changes may allow you to petition the Court to modify your child support obligation into a more manageable amount given the new state of the your finances. Our team understands how important it is for your peace of mind that your children are receiving the proper amount of child support they deserve based on your ability to pay. To discuss your case with one of our experienced lawyers in an free initial consultation, call us toll free at 305-461-4880 or Contact us online. We welcome all major credit cards.